Michelle Velvin recently completed a PgDip in harp performance with distinction, under Carolyn Mills at the Te Kōkī, New Zealand School of Music. Michelle has performed with the NZSO, the NZSO NYO, Orchestra Wellington, WYO and the CSO. In July 2016, Michelle was accepted to attend the Catrin Finch Harp Academy in Cardiff, Wales, where she performed in masterclasses with both Catrin Finch and Elinor Bennett. 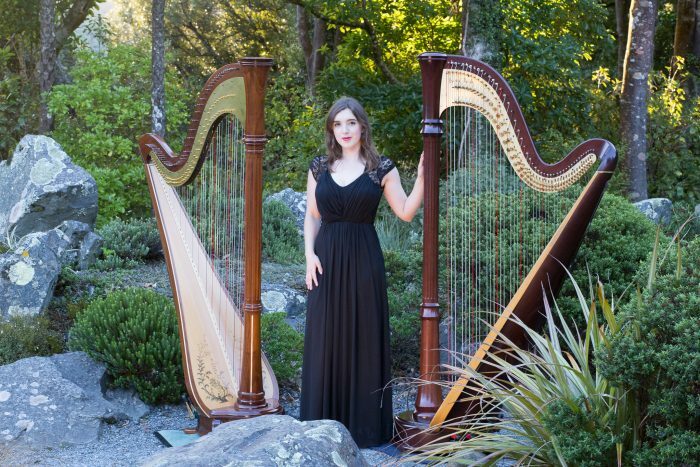 In 2015 she was the winner of the NZ Performance Harp Competition , and she was also recorded for the album Zealandia, by New Zealand Singer/Songwriter Dudley Benson. ​She is also a one half of the NZ Harp Duo, Duo Eolienne and Duo VAARP.